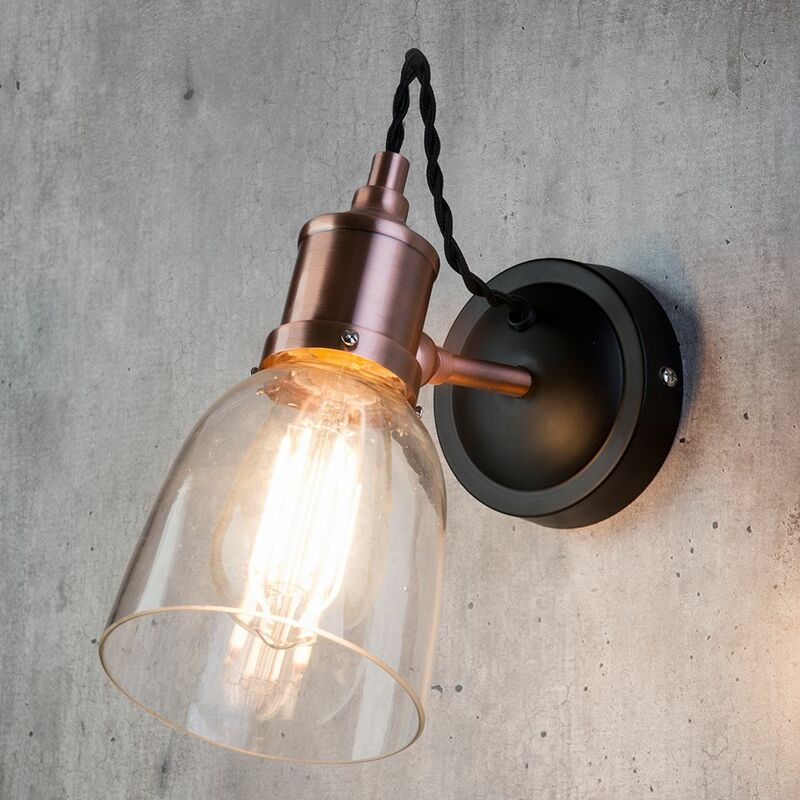 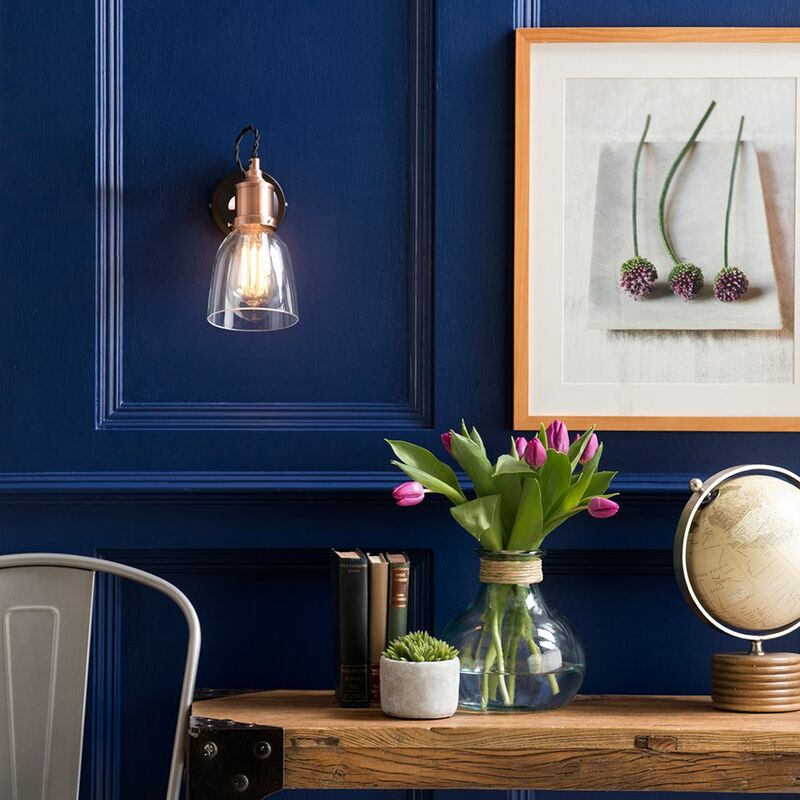 Retro-style lights are extremely popular right now, along with copper finishes. 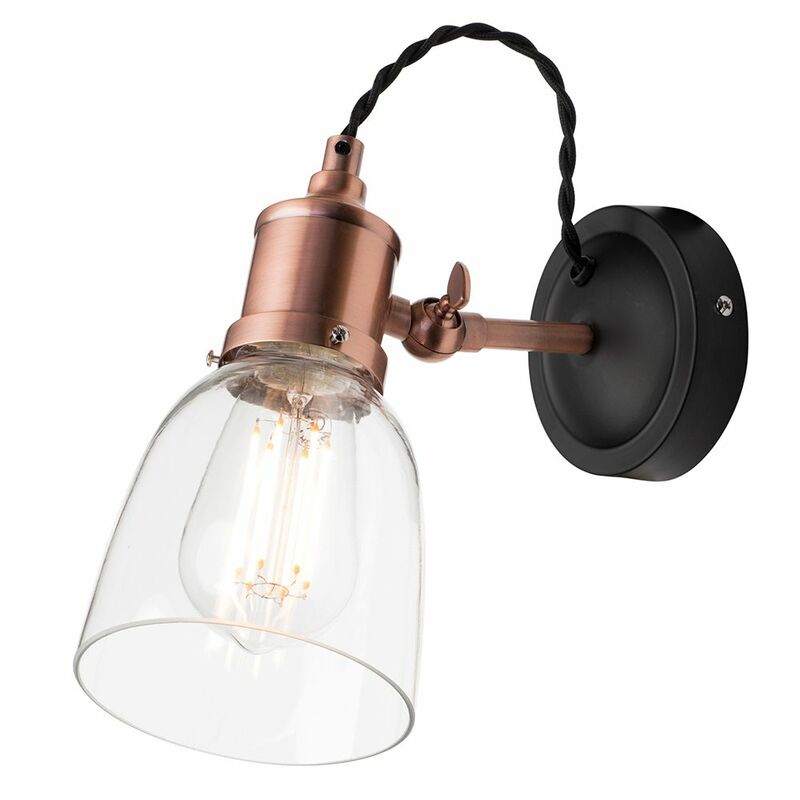 This industrial 1 light diner style wall light is the perfect mix of contemporary and traditional styles. 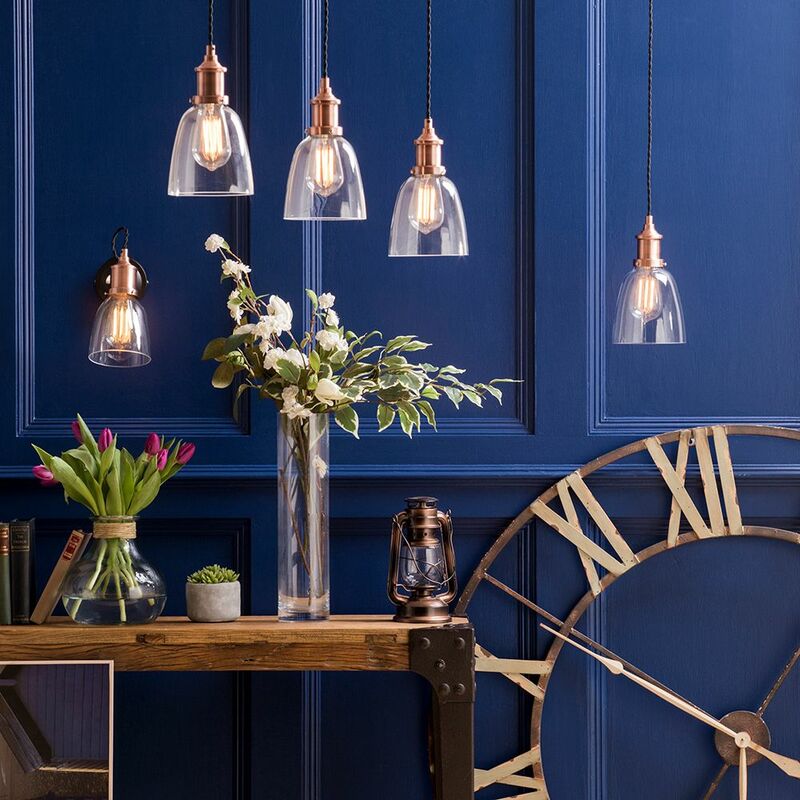 The glass shade is a particularly modern feature of the piece, which compliments the copper finish superbly. 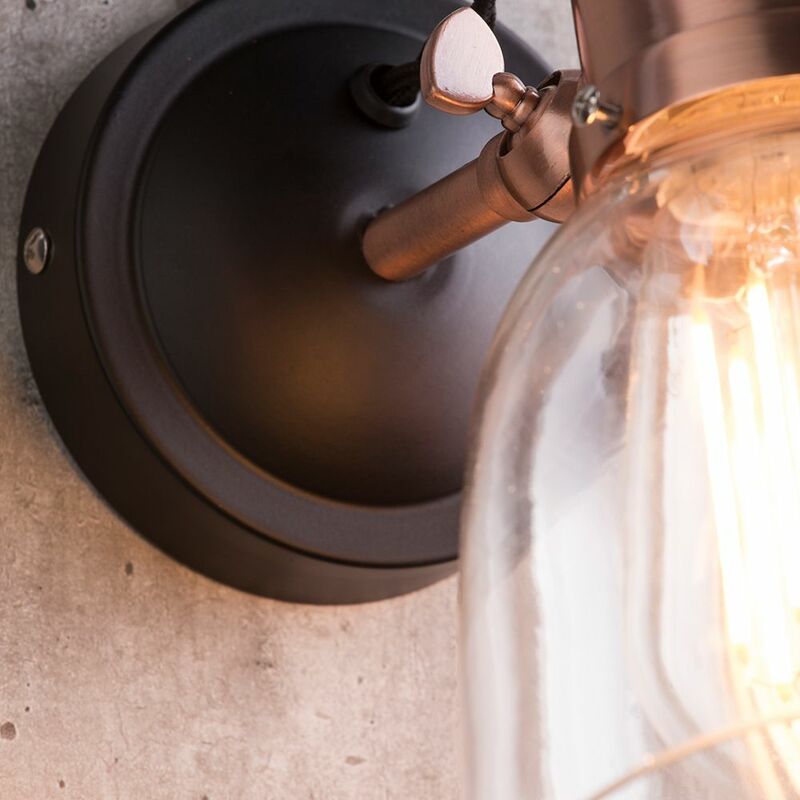 This wall light can add a quaint and stylish feature to a room, while also remaining practical as a space-saving light feature.